Some websites can show notifications on your computer desktop. 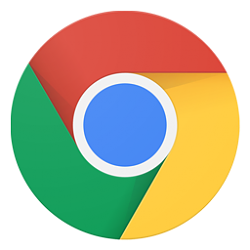 By default, Google Chrome asks you if a site can show notifications. You can manage settings to allow or block permissions for notifications from all sites or for a specific site. This tutorial will show you how to change site permissions in Google Chrome to allow or block website notifications on your desktop in Windows 7, Windows 8, and Windows 10. If you like, you can type chrome://settings/content/notifications into the address bar, and press Enter to go directly to Notifications settings at step 6 below. 7. When finished, you can close the Settings tab if you like. A) Set site to Ask: Under Block or Allow, click/tap on the More icon to the right of the site you want, and click/tap on Remove. B) Allow a site: Under Block , click/tap on the More icon to the right of the site you want, and click/tap on Allow. C) Block a site: Under Allow , click/tap on the More icon to the right of the site you want, and click/tap on Block. D) Add site to Block or Allow: Click/tap on Add to the right of Block or Allow, type the URL address of the site, and click/tap on the Add button. E) Edit site: Under Block or Allow, click/tap on the More icon to the right of the site you want, click/tap on Edit, type the new URL address for the site, and click/tap on the Edit button. 2. Go to the website you want to change its notification settings for. 3. Do step 4 (direct) or step 5 (site settings) for which option is available or you want to use. B) Click/tap on the drop menu arrow for Notifications, and select Use global default (Ask), Always allow on this site, or Always block on this site for what you want, and go to step 6 below. Notifications will not be available if this site is currently set to Ask. Doing Option 3, step 5. The "Notifications" are non-selectable (greyed out) and show "block". I had previously allowed notification in the pop-out banner that appears at the top left of the Chrome web page. Why is it greyed out & has this overridden my 'alow' on the pop-out? The site shows "Not Secure" next to its address. Are you able to use Option 2 instead to "Allow" the site at step 6? Used Option 2 to add the address to the Block option, as that is what I want to do, at step 6. I may not have explained myself very well but this should stop anything from that site. If not, I will revisit this tutorial. Thanks for your help & prompt answer. Sorry for the confusion. Please let me know if it didn't block site notifications from that site.